Valerie received her Bachelor’s Degree from Western Illinois University in 2006 with a major in Communications and a minor in Music Business. Valerie has been a part of the Synergy team since October of 2015. Valerie started out as the Sweepstakes Coordinator for SYNMP by writing the sweepstakes rules for various clients, selecting/contacting sweepstakes winners and sending out sweepstakes prizes to lucky winners. It is a highlight of her day when she can make a winner’s day and she can hear the excitement over the phone. 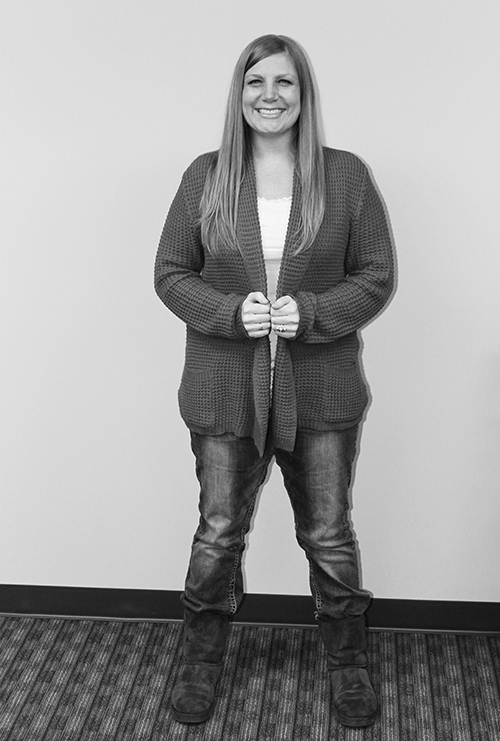 In the spring of 2016, Valerie’s title changed to Associate Account Manager. She still manages the Sweepstakes aspect of SYNMP but also oversees the account of ACDelco. Valerie helps ACDelco with all their sweepstakes and prizing along with their digital and creative needs. Beyond her work life, Valerie is a dog mom to a Shiba Inu named Titan and a Siberian Husky named Cody. Yes, she lives in a lot of dog hair as the shedding never stops! Valerie is also a roller derby player and has been with the Aurora 88s Roller Derby League since March of 2014. Her derby name is Val-Lociraptor. Valerie also loves a wide range of music from Motown, Country, Classic Rock, Pop, Oldies and don’t forget Boy Bands!